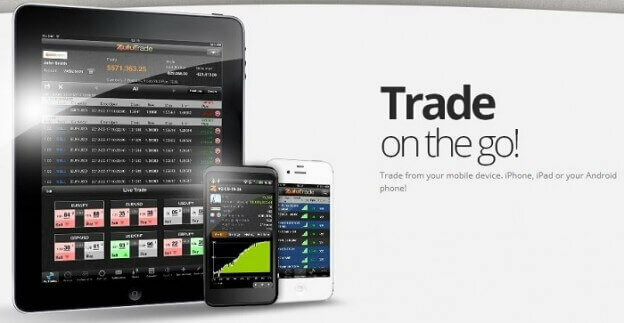 If you want to learn how to trade professionally – to turn a profit like the pros – you’ll need the right tools. While there are a ton of tools out there for you to use, none are as useful or as crucial as a good old-fashioned stock chart. 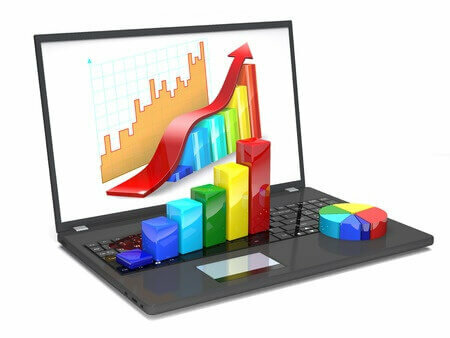 Stock charts give you the data you need to make a great trade in clear, visual presentation. 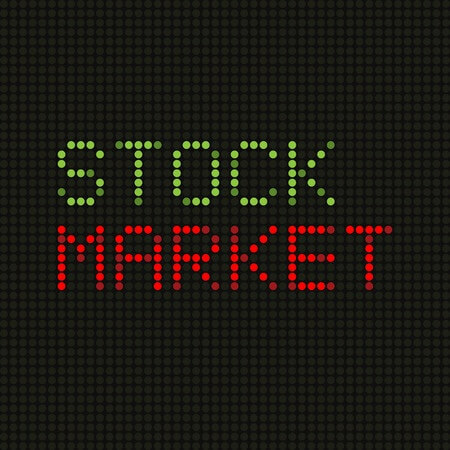 Sometimes they can be complicated, and it’s easy to get overwhelmed at first when you’re staring at a bunch of squiggly lines, bars, and oddly named and shaped things called candlesticks, but stock charts really are worth the effort to learn.Here, I’ll talk about how you can trade based off stock charts and cover the various types of charts out there for you to use to earn money in the market. Think of a stock chart as a map. It tells you where a stock has been and gives you indications of where it could be heading in the near future. In other words, a stock chart gives you a graphical representation of a stock’s value at a given time. Note that I said basic information. You can pile a lot more information onto a chart if you want, which we’ll talk about later. For now, we’ll cover the various types of charts out there. What Types of Charts Can I Use? 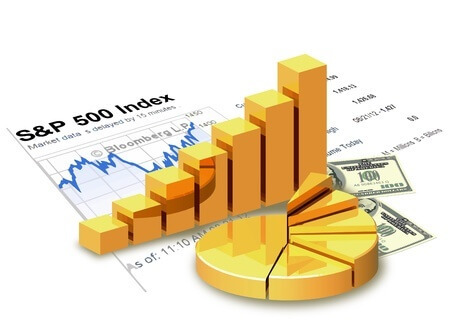 The three basic types are line charts, bar charts, and candlestick charts. A line chart is the simplest form of chart out there. I think they are terrific for beginners because they tell you the very basic information you need to know – the price at a given point in time. Connect the dots and voila – you have a line chart. 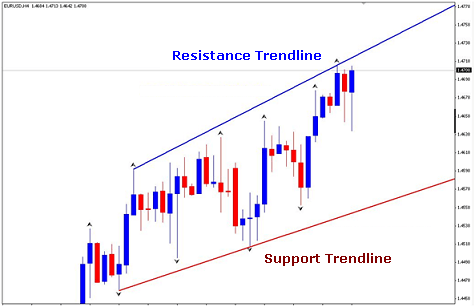 The simplicity of a line chart makes them favored by many traders, especially those getting their feet wet in the markets. The downside is that there isn’t as much detailed info at a glance as the other types. Here is a sample of Apple (AAPL) as a daily line chart over a two-week period. A bar chart gives you price information at a particular point in time, but it also gives you additional information at a glance – like the open, high, low, and close prices of a particular period of time. I’d say the majority of traders use a bar chart. It helps show a high volume of data without looking cluttered, and gives you more detailed info than a simple line chart will display. Finally, you have candlestick charts – named because the plots look like candlesticks. Candlestick charts can frustrate investors because they look complicated at first glance. In reality, they show the same information a bar chart shows, just in a different way. 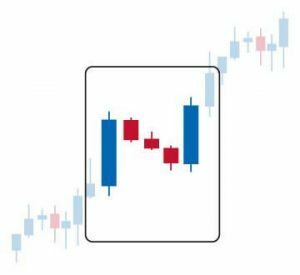 Candlesticks show the open, high, low, and close (OHLC) of a stock at a particular point in time, but also are colored differently to indicate how the stock is performing. For example, if the candle’s body is white or green, that means the stock’s closing price was higher than the open – meaning it performed well. If the body is black or red, the closing price was lower than open, meaning the stock did poorly. Here is AAPL as a candlestick chart. Reading a stock chart is easy, once you know what you are looking for and where it is located. There are three general things people look for when they create a chart: the current price (and its OHLC); the trading volume; and advanced metrics like moving averages. The current price and OHLC of a stock is easy to find; the scale on the right or left gives you the price and the label on the bottom gives you the time period. The volume for a particular time period is usually either located on a separate chart right below the main chart, or is superimposed on the chart itself. That way, you can see the level of trading activity for a stock at a particular point in time. Seeing a plunge in your stock’s price at 3pm could be explained by a burst of selling activity at 2:50pm. Here is AAPL’s chart with volume added as an overlay (the label for volume is on the left). Moving averages, basically, are calculations of the stock’s average prices over a certain period of time. The two most popular moving averages (MAs) are the 50-day MAand 200-day MA. You can have these MAs represented by curves on your graph to give you an idea of how the stock is performing relative to those. Here is AAPL’s chart with a 50-day MA (the solid red line in the lower right-hand corner of the screen, ending in a blue box). You can use MAs to determine levels of support and resistance for a stock’s price, among other things. If the stock has been trading above the 50-day MA, for example, then dips and touches the line, it has met its support. This could give you an indication that it is time to buy at that time and let the stock rise back up. By the same token, a stock that has been under the 50-day MA but hits the line could have met resistance, meaning it isn’t likely to go much higher than that mark before it goes back down. That could be a signal to sell or short. Another way to use MAs is to see when they cross over each other. Let say that both the 50-day and 200-day MAs have been on an uptrend (steadily rising in price). When the 50-day MA crosses under the 200-day MA, that generally is a signal to sell a stock. When the 50-day MA crosses over the 200-day MA, that is generally a signal to buy. This is a long-term strategy that can result in profit in the long run, even if you experience daily losses from time to time. Similar strategies use different time scales (such as 10-day and 28-day MAs); I find these to be the easiest to use and the most popular. Here is an example of a MA crossover on the weekly chart for Exxon (XOM). I strongly recommend playing around with various types of charts and options to get a good feel for what you want. There isn’t a perfect solution for everyone; find the one that fits your needs. A stock chart is very important. Don’t leave home – or trade – without it!